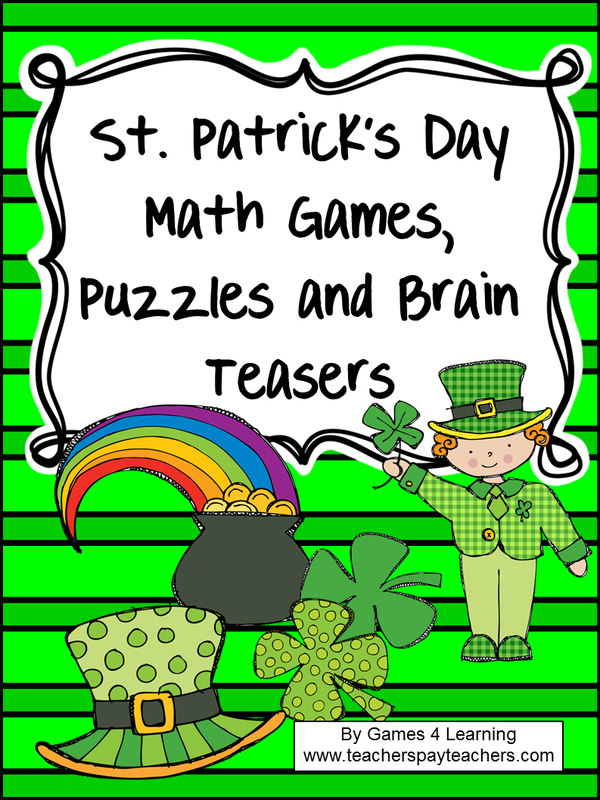 To celebrate St. Patrick's Day I have created some St. Patrick's Day Math Games FREEBIES to give the kids some fun, green math especially for the day! There are 2 print and play games and also 2 board games and a St. Patrick's Day math puzzle. In this St. Patrick's Day addition game, players search for pairs or trios that add to 17. In this game players try to be the first to make a line of four. They roll 2 dice then take this total from 17. 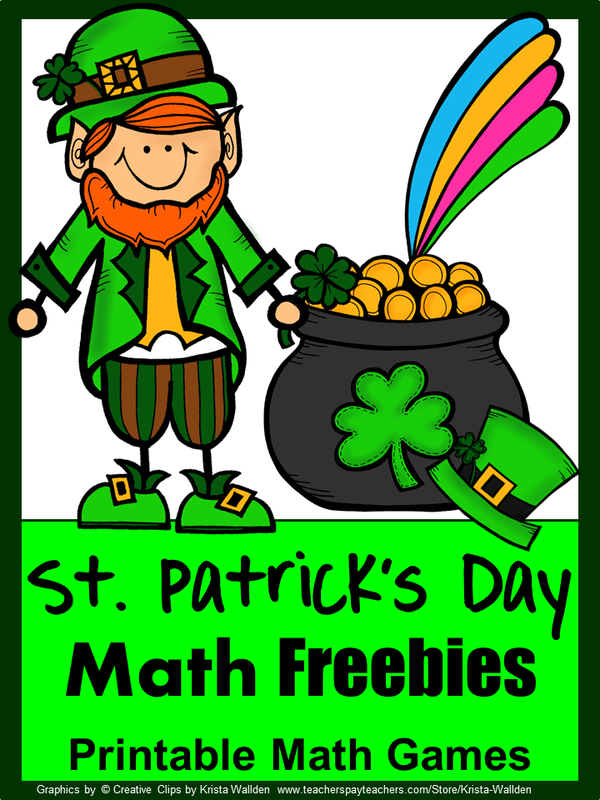 I also have 2 Printable St. Patrick's Day Math Board Games and a St. Patrick's Day math puzzle sheet in the St. Patrick's Day Math Printable Freebies. Want More St. Patrick's Day Math? 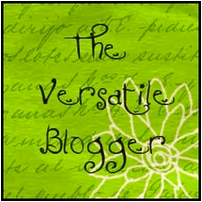 Make sure you check out my St. Patrick's Day Math Games, Puzzles and Brain Teasers ! 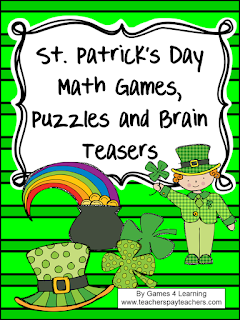 12 Printable St. Patrick's Day Math Brain Teasers in large card size and worksheet size! Hope the kids have fun with these! Happy St. Patrick's Day!